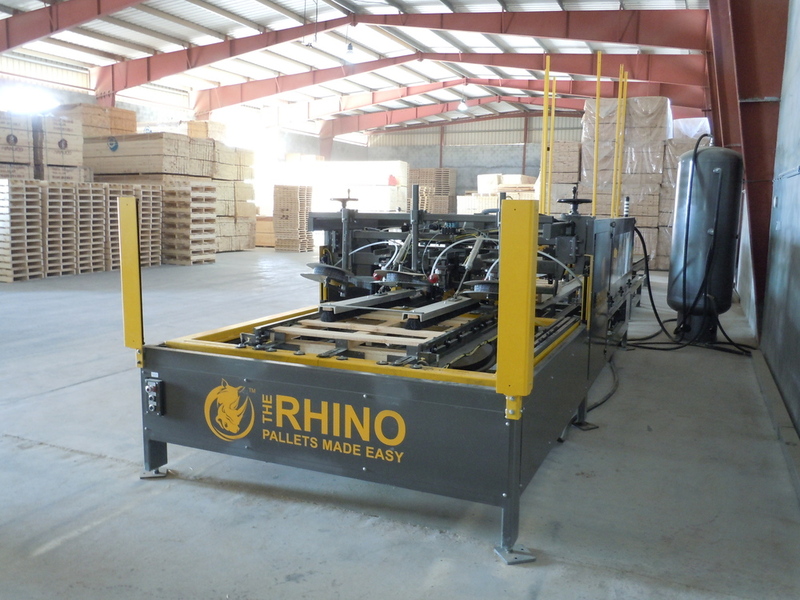 A Middle Eastern pallet company located in Oman installs Rhino Pallet Nailing Machine to build a specialized pallet for customers demand. The Rhino Pallet Nailing was upgraded with 11 pneumatic nail tools to allow a staggered nail pattern to be placed on top deck boards. DAK Pallets received World Class equipment to build pallets. DAK Pallets located in Trinidad receives their shipment of equipment to build pallets. The Single Man Pallet Machine will increase their production while maintaining quality and excellent service to their customer base. DAK Pallets is a preferred partner in a World Class Pallet Facility that brings in new technology and advancements towards lean manufacturing. Congratulation towards their advancements as they lead the way in the supply chain management.